The Lydian apartment building in DC. Click to enlarge. Earlier this year, it was unclear how long the record-high absorption levels would last for new apartments in the metro area. A new Class A apartment report from Delta Associates indicates that demand in the District is carrying the market as absorption falls off elsewhere. For the 12 months ending in June, 8,962 Class A apartments were absorbed — 45 percent of which were in DC proper. During the second quarter, 4,061 units were absorbed in the District, a 31 percent year-over-year increase; meanwhile, only 3,291 units delivered in the city. While new apartments continue to rent at a quick clip in DC, the news is not as rosy in other parts of the region. In the last year, 3,988 Class A apartments delivered in Northern Virginia, yet only 2,566 apartments were absorbed, a 57 percent drop-off over the year. "The impact that the large influx of new supply has had on Northern Virginia has led to several months of elevated vacancy and slowed rent growth," the report states. DC Class A apartment snapshot. Click to enlarge. The skewed absorption levels in the region have resulted in an increased vacancy rate (4.1 percent) for Class A apartments, and while that will change, it could take awhile. "Given projected absorption and the delivery schedule of projects currently under construction, we expect the region-wide vacancy rate for stabilized Class A apartment properties will be 10 basis points lower in three years than it is today – resulting in a metrowide rate of 4 percent," the report states. 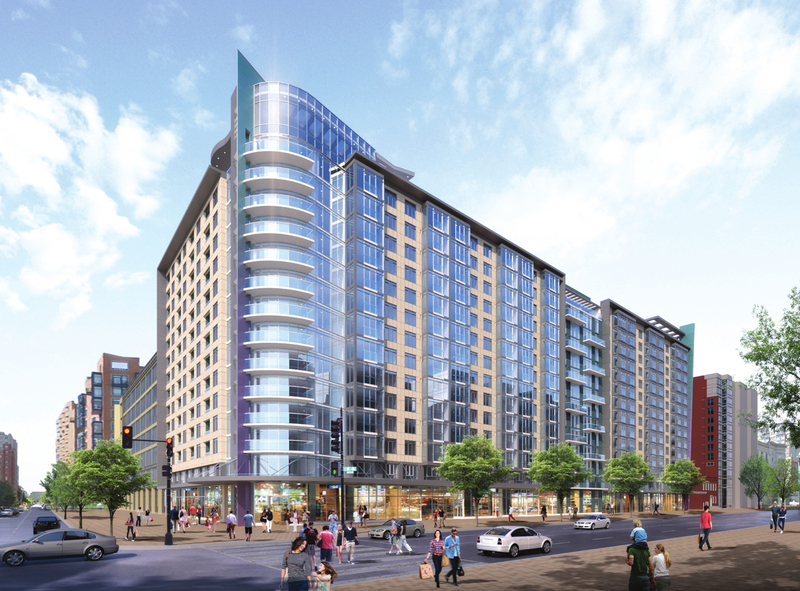 There are 37,340 apartments units currently in the 36-month pipeline regionwide. 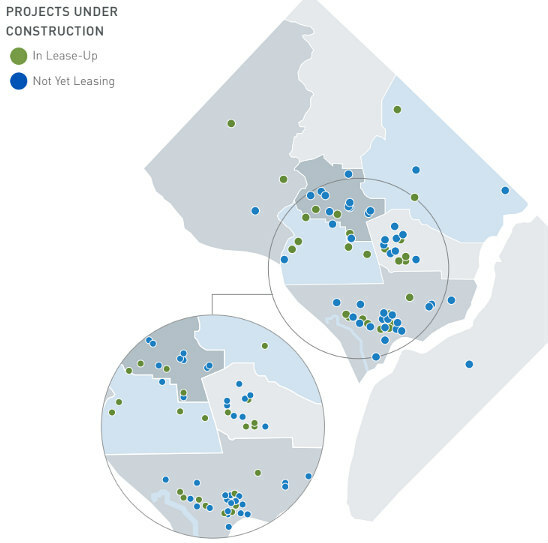 Ten projects, totalling 3,298 units, broke ground in the second quarter of this year; seven of those were in the District, accounting for 3,232 of the units. DC Class A apartments under construction or marketing. Last quarter's projections that high supply would suppress rent growth persist, although high levels of absorption are expected to continue to balance these forces out and keep rents trending positively. 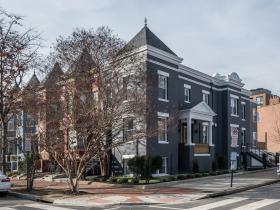 In the District, rents are up by 2.3 percent year-over-year, led by a 5.4 increase in the Northeast submarket and a 5.3 percent increase in the Capitol Hill/Southwest/Riverfront submarket. The latter super-neighborhood, along with the NoMa/H Street submarket, also accounts for over 70 percent of Class A rental inventory citywide, with over 11,300 units between them. Note: The rents are an average of studios, one and two-bedroom rental rates at Class A high-rise buildings in the DC area.